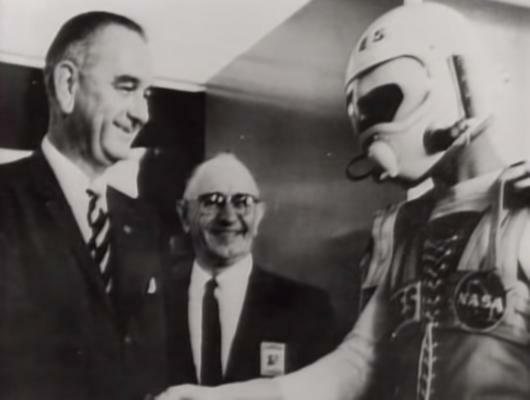 A photo of LBJ with somebody in a NASA suit. Anyone has some details about this suit? Three NASA personnel suited in space flight restraining gear are ready to climb aboard this Apollo very early mock-up, April 6, 1962. This flight restraining gear was developed at Ames Space Center by Robert Innis in view of the extreme acceleration envisaged during certain parts of the space flight. 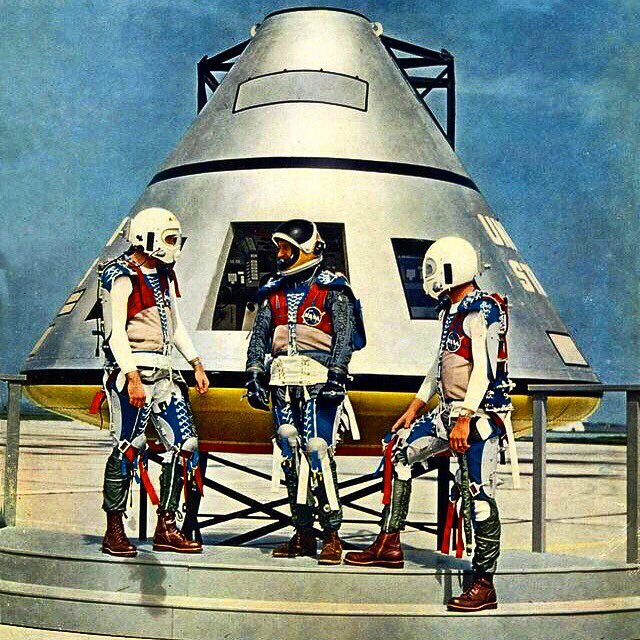 The model in the middle wears a “borrowed” US Navy Mk.IV pressure suit under the restraining gear. The others seem to be in their definitely less than glamorous long johns, but are equipped anyway with stunning “Ames” helmets. Humble beginnings.